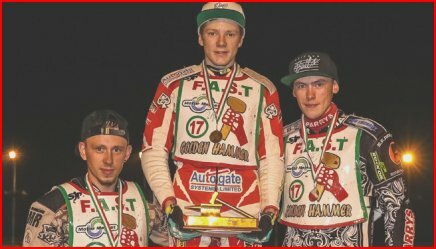 Cradley Heath's prestigious individual open event, The Golden Hammer, was conceived in 1977 and was held for 20 successive seasons until Cradley's last year of racing in 1996. 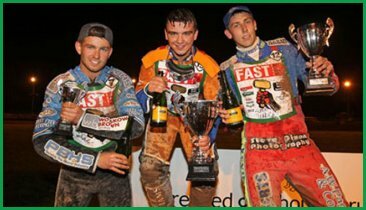 There have been 15 different winners, only Kenny Carter (2), Erik Gundersen (2) & Sam Ermolenko (3) went on to win on more than one occasion. 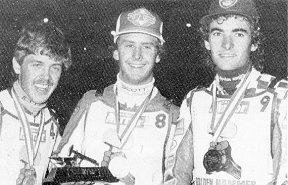 The 1981 event is the only occasion that failed to produce a winner, being abandoned due to rain after 14 heats. 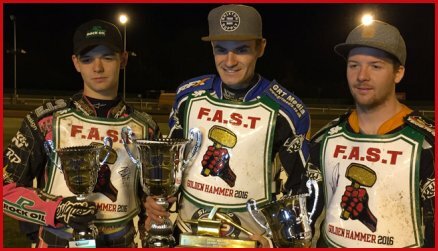 The Hammer was won by a home rider on eight occasions with a further five producing a rostrum finish by one of the competing Heathens. 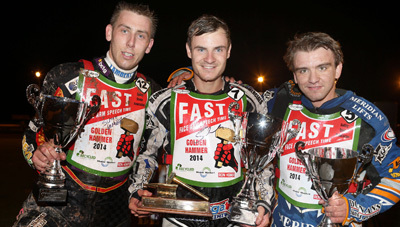 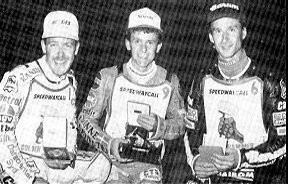 Jan O Pedersen with Gundersen and Hans Nielsen. 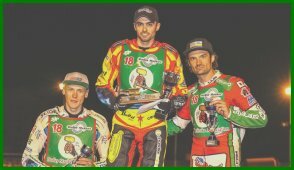 * The 1981 Hammer was abandoned due to rain after 14 heats. 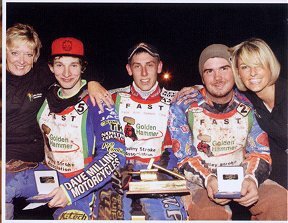 $ The 1996 Hammer was held at Stoke, during the Heathens year of racing at the Loomer Road track. 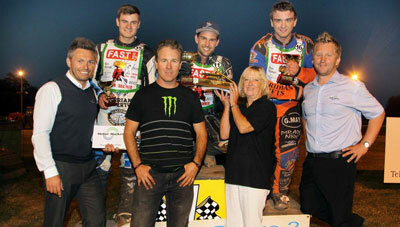 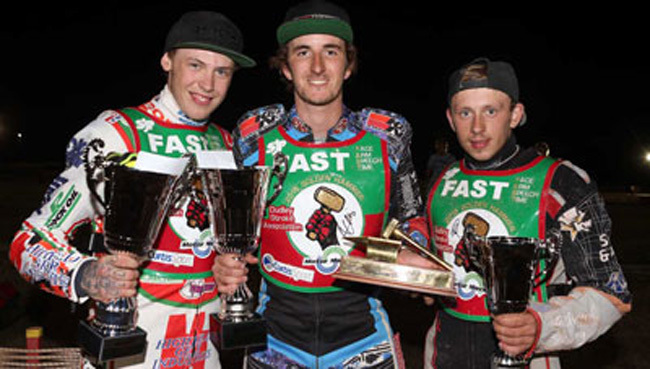 Copyright: Steve Johnson & Cradley Heath Speedway Ltd, 2011.